Commercial Progression, the largest Drupal web development agency in Michigan, announces the move to their new offices at 455 E Cady St Suite 302, Northville, MI 48167 to meet the needs of their expanding website strategy, design, and development team. The entire Northville team was moved to the new office location on December 16th of 2017. Commercial Progression, a Symmetri Marketing Group company and the largest Drupal consulting agency in Michigan, announces their sponsorship of MidCamp 2017 in Chicago Illinois. The Midwest Drupal Camp, also known as MidCamp (https://www.midcamp.org), is a 4th year web development conference bringing together people who develop, design, and support websites using the Drupal open source content management system. Commercial Progression is proud to be an official venue sponsor of this year’s MidCamp taking place on March 30th through April 2nd, 2017 at DePaul University Lincoln Park Campus, Chicago. 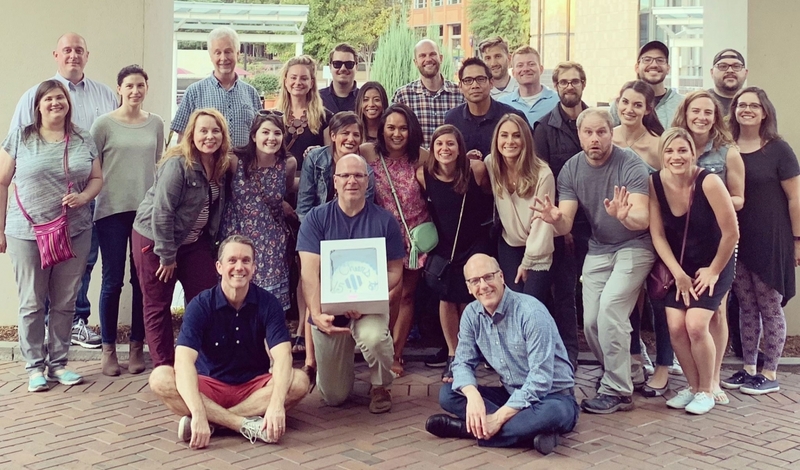 Commercial Progression's merger with the Chicago based Symmetri Marketing Group in 2016 has provided new opportunities to be involved in the Chicago web design and development community with events like MidCamp. 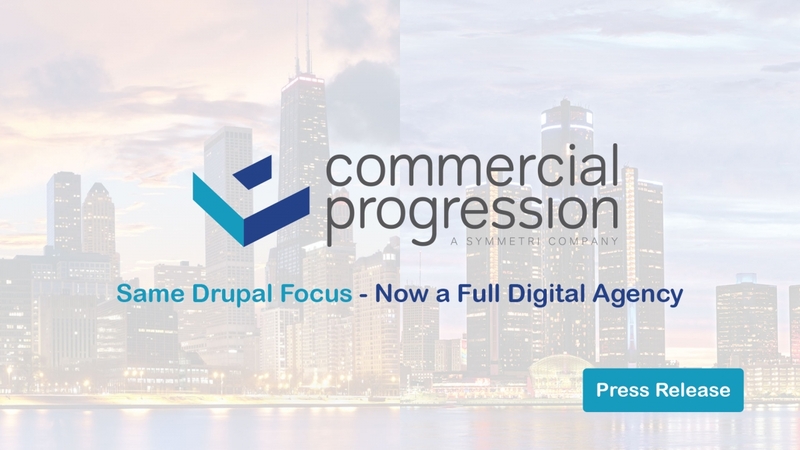 Commercial Progression, the largest Drupal consulting agency in Michigan, announces their sponsorship of the second annual Digital Summit Detroit. The Digital Summit is a nationally syndicated conference series organized by Tech Media. Commercial Progression is proud to be an official booth sponsor of this premier marketing and technology conference returning to Detroit on October 11th-12th of 2016. This year the Digital Summit features a keynote by Seth Godin, one of the most respected and well known marketing minds in the world. Additionally, dozens of marketing professionals will present from top companies and organizations including Google, Visa, Salesforce, Pinterest, Hubspot, and others. Northville, MI, May 31, 2016 Drupal website design and development company Commercial Progression is excited to announce the merger with Symmetri Marketing Group (http://www.symmetrimarketing.com/), a full service brand and digital agency based in Chicago, IL. As marketing and technology departments continue to be closely intertwined, it’s critical that agencies have an expert grasp on both. Together the two agencies are eager to join forces and expand their reach and service offerings to fully leverage the potential of integrating marketing and technology. Experts at Drupal development themselves, Commercial Progression headed by Founder and Owner Alex Fisher, recently invested $5,000 to create a comprehensive training resource focused on upgrading websites from Drupal 7 to Drupal 8 before its official release. This sponsorship provides 50 training videos by OSTraining on upgrading to Drupal 8 at no cost to the public. Drupal is an open-source content management framework written in PHP and used by top websites including WhiteHouse.gov and Economist.com. The bundle of training videos are to cover upgrading sites, modules and themes in Drupal 8. They are slated to be posted on YouTube in September 2015. Goldman Sachs 10,000 Small Businesses is a program designed by Babson College, the nation's top-ranked entrepreneurship school, for established small businesses that have left the start-up phase and have entered the growth phase. The program is currently active in eighteen cities around the United States, has already trained 4,000+ small businesses, and has been active in Detroit since Spring 2014 in partnership with Wayne State University, Oakland Community College, Macomb Community College, Invest Detroit Foundation, and Detroit Development Fund.